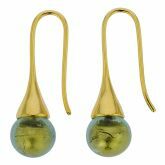 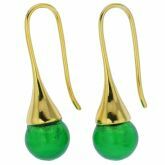 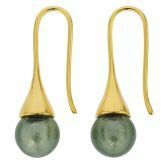 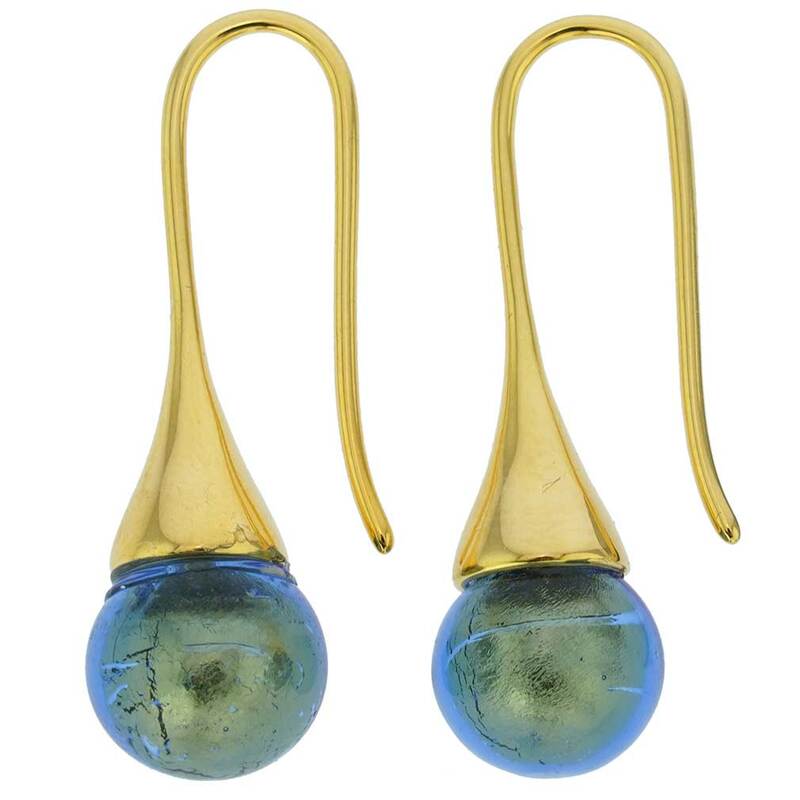 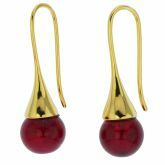 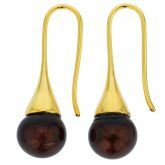 These simple and elegant Murano Glass Earrings are handmade by infusing 24ct gold leaf, which is then encased in clear glass for a unique shimmering effect. 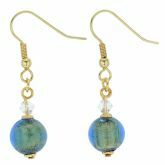 These lovely Venetian earrings look like sparkling drops and feature vibrant colors. 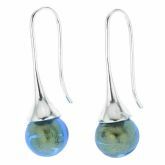 Talented Murano glass artisans show off their skills and creativity in these trendy earrings, which truly capture all the light and beauty of Venice. 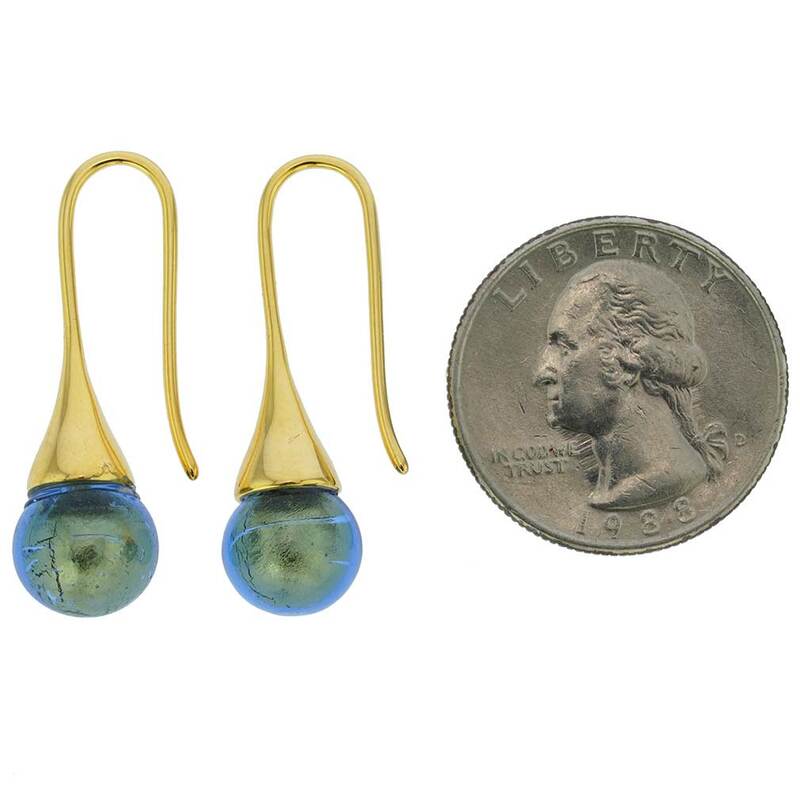 Measurements: Each Murano drop earring measures 3/8 inch in diameter. 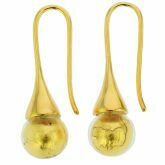 The hooks are approximately 1 inch long and are made of gold-plated surgical steel for all day allergy-free comfort. 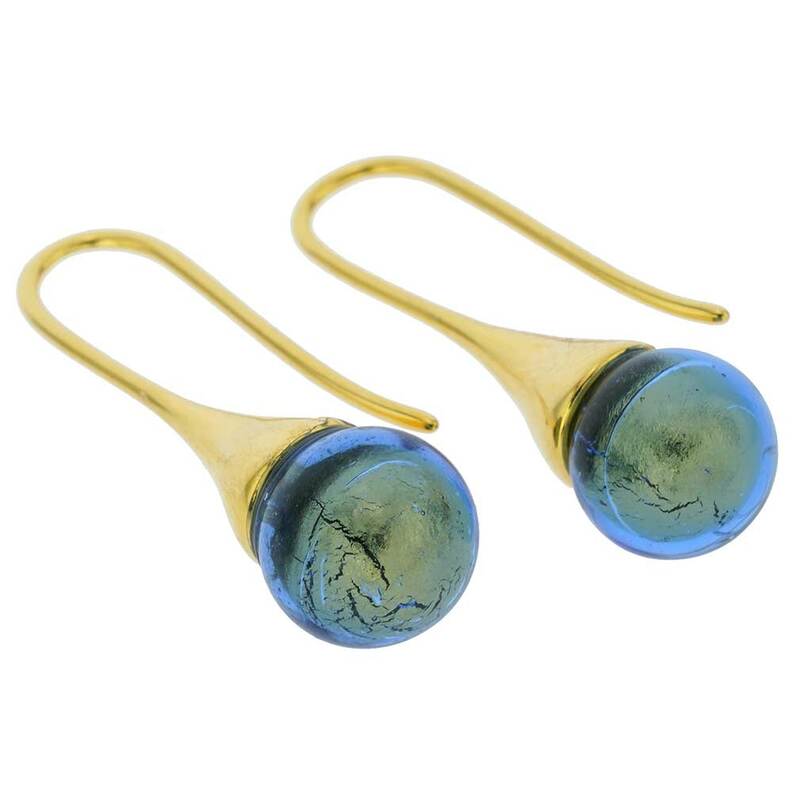 Our Murano earrings come with an attractive velvet pouch and the certificate of authenticity.